One of Marilyn Monroe’s strongest early film roles was as Peggy, the feisty cannery worker in Clash by Night (1952), based on a play by Clifford Odets. 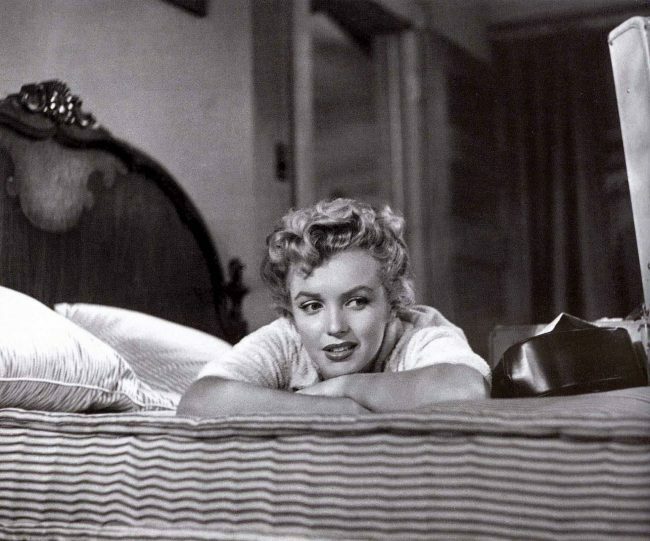 Marilyn knew Odets quite well and later played Lorna Moon in a scene from his most famous play, Golden Boy, at the Actor’s Studio during the late 1950s. She later considered starring in Odets’ screenplay, The Story on Page One (1959), but that role went to Rita Hayworth, and was directed by Odets himself. Always competitive with Miller, Odets took a rather dim view of The Misfits (1960), Monroe’s last completed film, which Miller wrote and John Huston directed. Odets was the leading New York playwright of the 1930s and 40s, and his plays focussed on social injustice and the plight of the ‘little man’. He was also involved in the formation of the Group Theatre alongside Lee Strasberg. Unlike Arthur Miller, the playwright who ultimately eclipsed him, Odets chose to ‘name names’ in the House Un-American Activities Committee trials of the early 1950s, a decision he would bitterly regret. He died in 1963.